Energy bills can become expensive and excessive for business owners. One of the most efficient forms of energy cost reduction comes from what is known as dynamic shading. 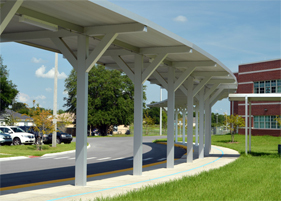 According to the European Solar Shading Organization, canopies and awnings can help to significantly reduce energy costs by blocking solar energy. Fixtures are available for both windows and doors to assist in controlling interior temperatures. 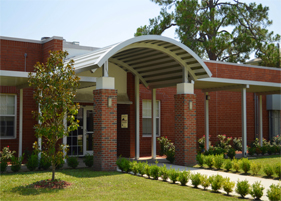 In particular, aluminum awnings are effective at preventing heat from entering structures. Business owners who take advantage of this simple and impressive money saving method are better able to estimate and manage future energy costs. Other perks of having aluminum awnings include gaining the ability to protect the exterior of your business from harsh weather. Rain, wind, snow and sleet can wear away at the exterior of a building. Energy efficient awnings can help to minimize the effects of unsavory weather conditions, as well as helping business owners to further drive their expenses down. These factors should help companies considering various energy reducing methods to come to a well-informed final decision. Another advantage to installing aluminum awnings at your business location is the enhanced curb appeal that accompanies them. Since business awnings can be customized with company names and logos, business owners in certain industries may attract wider customer base with their implementation. All business owners can benefit by finding different direct advertising methods that work to draw in more customers. 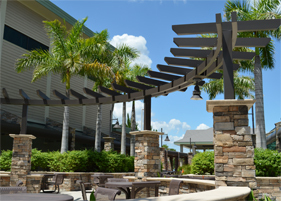 Commercial canopies, too, offer energy savings to businesses, and they also can be used for weather proofing purposes. Businesses hosting outdoor events or looking to establish new communal areas regularly install canopies to keep their clients and workers cooler during warmer months. Consequently, indoor energy usage rates should naturally decline, as more people will decide to convene outside. 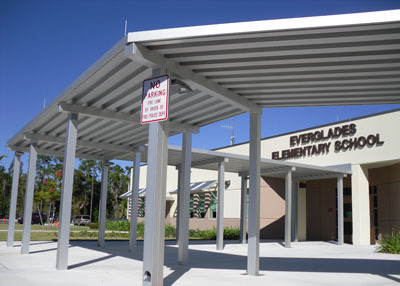 Canopies can also reduce rain and sun damage to your building’s exterior. 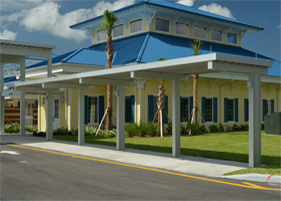 These are just some of the ways that installing aluminum awnings and commercial canopies can help to save on overall energy costs. Aluminum awnings and commercial canopies are affordable and efficient energy solutions for business owners. The costs associated with commercial canopy and aluminum awning installation can be quickly offset by way of future energy savings. Businesses seeking to cut spending should invest in aluminum awnings rather than spending vast amounts on centralized cooling and heating systems. Choose an energy savings method that virtually pays for itself within a short period of time. Learn more about our aluminum awnings today.